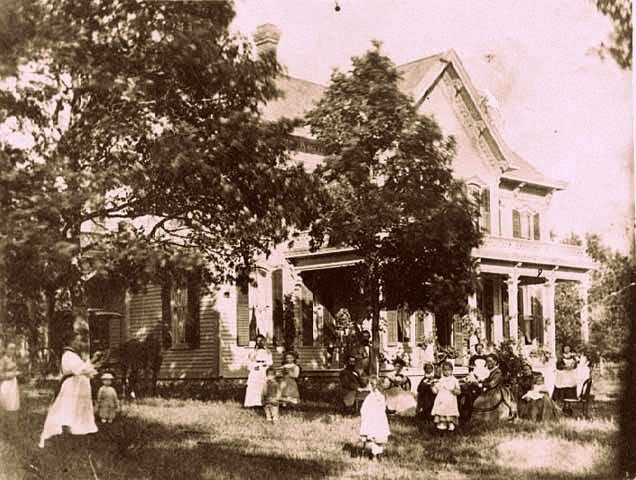 The family settled in the area of St. Paul known as Dayton's Bluff, named for Lyman and Maria Dayton. The Dayton's built a large frame house on the crest of the bluff. Carver's Cave is at the foot of this bluff. The area was originally separated from the downtown by a large wetland formed at the merger of Phalen Creek and Trout Brook. Eventually the area was bridged and E. Seventh Street became an arterial. New industries began to locate here providing employment for many workers. 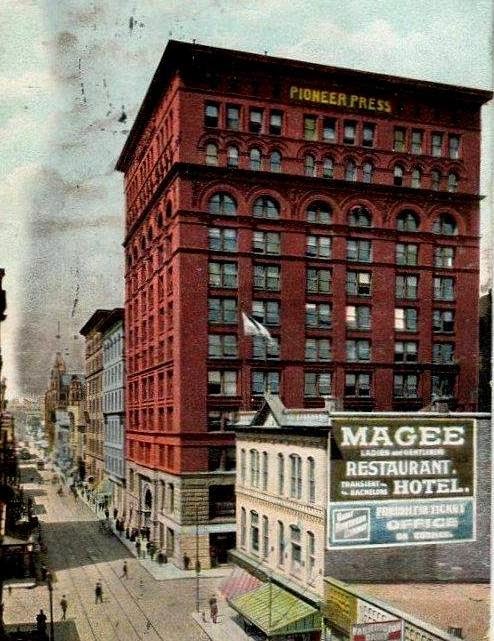 Among the businesses were the Theodore Hamm Brewing Co., Seeger Refrigeration, St. Paul Plow Works, Wood Harvester Plant and Minnesota Mining and Manufacturing (3M). 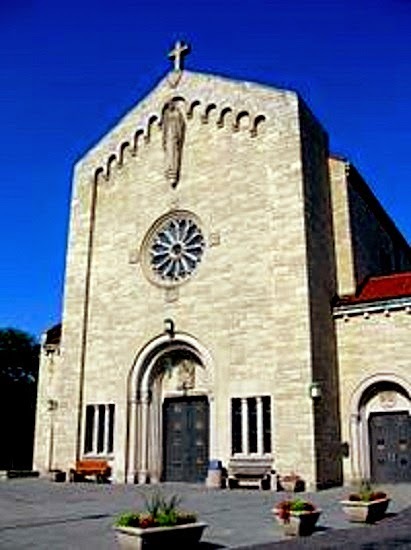 Sacred Heart, A German Catholic Church located at 840 6th Street East may have been an attraction and a connection. The church is still an active congregation with a largely Hispanic membership. In this blog I will concentrate on their children. John Henry Irber was born on October 19, 1865, in Neubäuhütten, Wassersuppen. In 1887, he married Helen Schaber. They had three sons; Edward John, Arthur, Wilfred Joseph and one daughter, Lauretta Emma. For much of his life he was employed as a cigar maker. According to the 1940 Federal Census, he is widowed and living with his son Edward at 6310-A Malibu Street, Huntington Park, Los Angeles, California . He died on July 20, 1942, in Los Angeles, California, at the age of 76, and was buried in Elmhurst Cemetery, St Paul. Margaret Irber was born on December 11, 1867 in Neubäuhütten, Wassersuppen, Bohemia. She resided in St. Paul most of her life. In 1933, she was working as a Sales Woman at Robinson's Inc. and living at 672 E. Lawson Apt. 2. She died on November 15, 1952, in San Diego, California, at the age of 84. Marie Irber was born in September 1870 in Neubäuhütten, Wassersuppen, Bohemia. She married Herman George Treseler in 1915. They had one son and five daughters. She died on March 20, 1946, in Minneapolis, Minnesota at the age of 75. Rose Irber was born on December 9, 1875, in St. Paul. She married Alfred Emil Munch Sr. on February 15, 1895, in St Paul. They had three boys; Alfred Jr., Edwin Irber, and Robert Andrew. She died on July 27, 1951, and was buried in Acacia Park Cemetery, Mendota Heights, Minnesota, at the age of 75. Henry Conrad Irber was born on November 16, 1878, in St Paul, Minnesota. He married Margaret Esther Madigan on December 28, 1909 in Belmond, Wright County, Iowa. They had two sons; Conrad Henry and Joseph David. His employment is listed variously as corn buyer, broker, and salesman. He died on September 21, 1947, in San Francisco, California, at the age of 68. Annie Irber was born on March 10, 1880, in St Paul, Minnesota. She died as a child in 1885 in her hometown. Ernest Joseph Irber was born on January 23, 1885, in St Paul, Minnesota. By the age 20, He was employed as a draughtsman for the St. Paul Foundry Co. and boarding with his parents at 697 Case St. He married Hilda Anderson in 1910 . He later married Anna "Annie" Beach. In 1940, Ernest and his wife Anna lived on Keller "Grandway" in New Canada. He was employed as a General Agent for the "Steam Railway." Anna's mother Emma and a Hungarian housekeeper, Mary Puladi, also lived with them. Anna died on March 4, 1951. On October 30, 1952, Ernest married Frances R. Rigelhof, in Hennepin County, Minnesota. Ernest died on April 26, 1959, in San Diego, California, at the age of 74. On page 32 of the September 1941, Minnesota History Magazine it states: "Recent additions to the society's picture collection include 450 photographs, most of which are views of St. Paul and vicinity from about 1895, from Mr. A. Irber of St. Paul." But, nobody seems to know what happened to the collection. We first inquired of the research staff at the Minnesota Historical Society via email. We got no satisfaction. Last year we visited and inquired in person, and after getting shunted from staff person to staff person, nothing. corporate archives of the Pioneer Press is no longer possible. This note from historian Jim Sazevich "You will also be very unhappy (as I am) to know that the Pioneer Press newspaper recently sold its photo archive to private archives throughout the U.S. The photos are being sold on ebay now and have been for several months. They should have all been given to the Minnesota Historical Society. They are such an important part of our local history, and now they are scattered to the four winds, and most will end up in private hands." A few of his photos are on line at the MNHS site, if you search Irber. We hate to think that most of a large and important collection has gone missing. 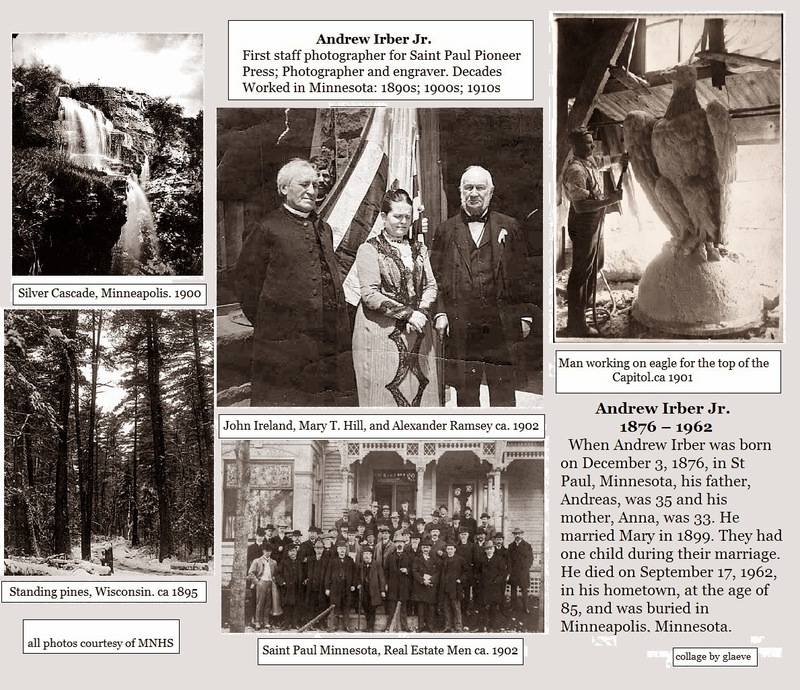 The pictures in the following collage are some of Andrew's photos that can be viewed on- line at the Minnesota Historical Society. We hope eventually others will be found. 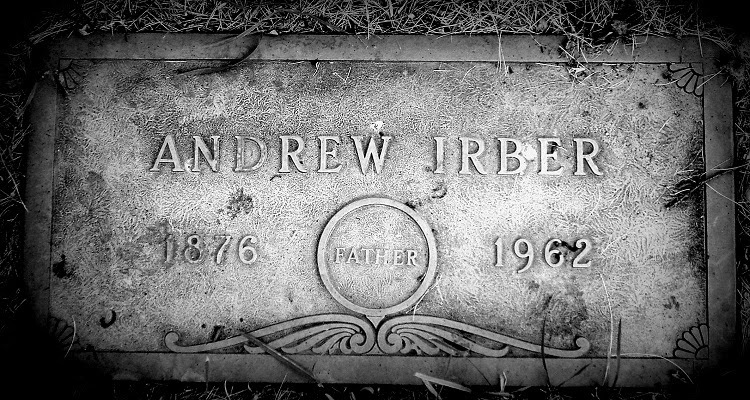 note 2 Joseph Andrew Irber first worked for the Gotzian Shoe Company. Later both he and his son Albert William were both employed as salesmen for the O'Donnell Shoe Company. Midwestern shoe manufacturers were negatively affected by southern states who offered cheaper labor wages. 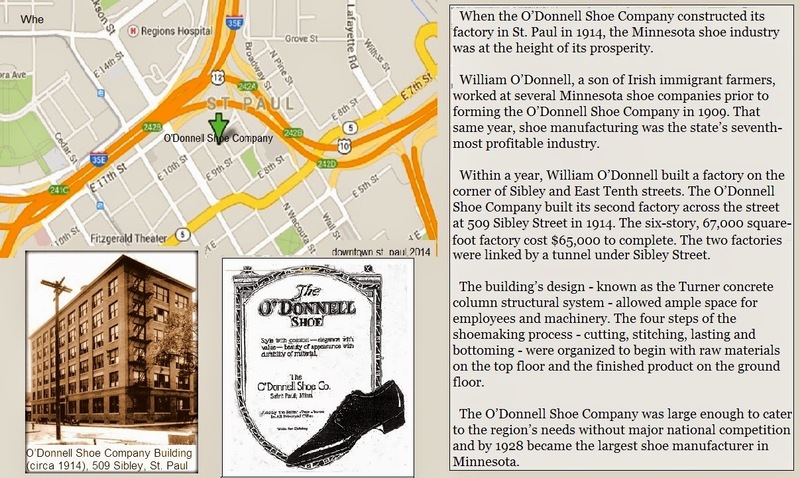 The Minneapolis Teamster’s Strike of 1934 in which 35,000 truckers and building trades workers walked out was devastating to the region and may have been the final blow for the O’Donnell Shoe Company. It moved operations to Tennessee in 1935. Subsequent uses of the building: The factory at 509 Sibley was leased to the Market Seed Company and Albert Wholesale Produce after the shoe company’s departure. 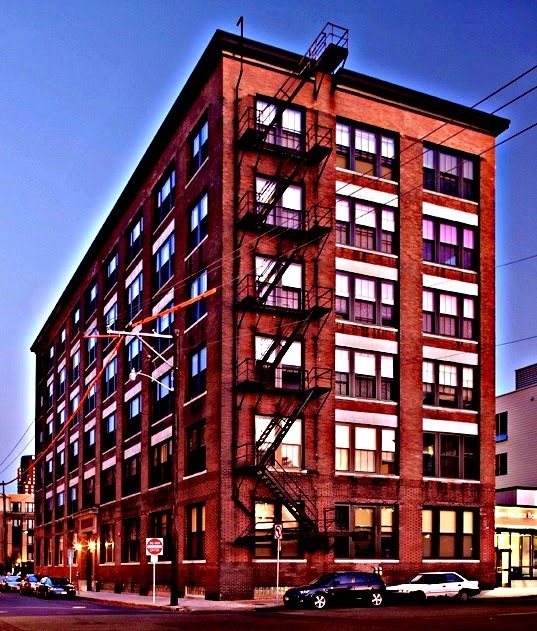 Since 1999 the O’Donnell Shoe Company building has been known as the Renaissance Box, housing tenants such as a theater group and other arts and retail ventures. Today apartment homes occupy the building.